Select and ensure the general availability of a suitable range of pure references resulting from abiotic transformation of fragrance ingredients; this step implies the development of procedures to prepare and purify haptens currently not commercially available. Furthermore, and because some products of abiotic transformation may be unstable (i.e. hydroperoxides), the half-life of these chemicals as well as any other parameters related to their conservation should also be investigated. Use these references to develop new analytical methods for the detection and the quantification of chemically-defined haptens, resulting from abiotic transformations, in fragranced products. These methods will have to be sensitive, specific and target limits of quantification below the estimated induction levels and limits of detection below the estimated elicitation levels. Make all relevant haptens resulting from the abiotic transformation of fragrance ingredients readily available for patch-testing. In case of success, these new patch-testing references will be presented to the dermatology community and potentially introduced in patch test baseline series. 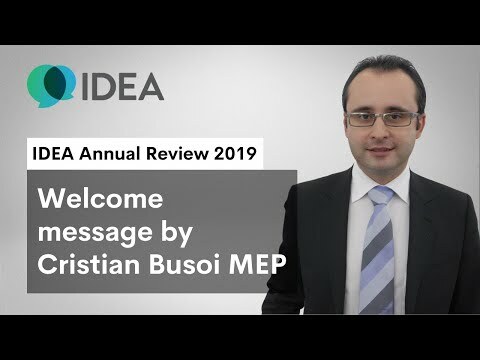 The IDEA Annual Review took place on December 13th in Luxembourg. This event hosted by the EU Commission was the opportunity to monitor the progress made by the IDEA project over the course of 2013 and make general recommendations on the process. Many experts participated in this event and made suggestions. An important one was that workshop participants (and all other relevant experts) should be involved as much as possible in the execution of action items. Following this recommendation, the IDEA Management Team created a multi-stakeholders task force to address this important action point. The following people expressed interest in this action item and, therefore, are members of the IDEA Hydroperoxides TF: Jean-Marie Aubry (University of Lille, France), Anna Börje (University of Gothenburg, Sweden), Hugues Brevard (Robertet, France), Michael Calandra (Firmenich, USA), Alain Chaintreau (Firmenich, Switzerland), Elena Giménez-Arnau (University of Strasbourg, France), Ann-Therese Karlberg (University of Gothenburg, Sweden), Clémentine Marteau (IFF, France), Andreas Natsch (Givaudan, Germany), Ulrika Nilsson (University of Stockholm, Sweden), Neil Owen (Givaudan, UK), Véronique Rataj (University of Lille, France) and David Roberts (Liverpool John Moores University, UK). Hans Bender, Matthias Vey and Fred Lebreux will moderate this working group and take care of all its logistical / technical aspects. The kick-off meeting of this task force took place in Brussels on Monday, March 24th. The outcome of the TF's activities will be presented at the next IDEA workshop dedicated to the risk assessment of pre- & pro-haptens. The agenda, the minutes and the presentations given at this meeting are now available and can be downloaded from this page.